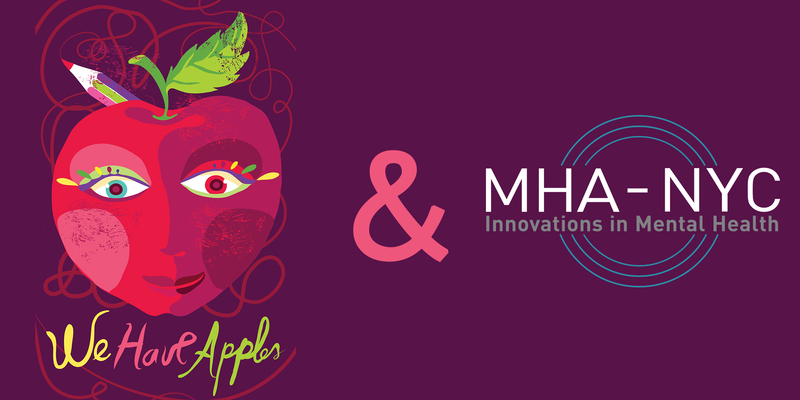 MHA-NYC’s young professionals committee, Minds Ahead, is dedicated to raising awareness of MHA-NYC among young professionals who understand that mental health and wellness affects everybody. This quarter, they continued to leverage their robust personal and professional networks to build diversified relationships that can further the development and expansion of MHA-NYC. On November 29, 2017, Minds Ahead members, Board members, MHA-NYC staff, and students from our various Adolescent Skills Centers (ASCs) attended a special performance of “We Have Apples,” followed by a Q&A with the director and actors. The musical follows Jane, a quirky nineteen-year-old, who is determined to overcome her mental illness and become a successful writer. As a special treat, the ASC students were taken out to dinner by Minds Ahead prior to the show. Ticket sales for the night supported MHA-NYC’s work. Earlier in the quarter, to raise awareness of mental health and support the work of the Mental Health Association of New York City, the Minds Ahead team committed to running the Rock N’ Roll Half Marathon and five-mile race in Brooklyn on October 14, 2017. That day, Minds Ahead was joined on their run by MHA-NYC Board Chair, Jennifer Ashley, as well as MHA-NYC Peer Support Supervisor Jerome McGriff. During the race, the Minds Ahead runners wore t-shirts that announce their support for mental health, branded with both the Minds Ahead and MHA-NYC logos. Minds Ahead raised over $5,000 in support of their race and MHA-NYC. Read a blog post by Taylor Clark, co-chair of Minds Ahead, about her experience. We’re excited to see what’s in store in 2018 for Minds Ahead! To find out more about this young professionals committee and how to get involved, visit https://www.vibrant.org/who-we-are/get-involved/minds-ahead/ or email mindsahead@dev-mha-vibrant.pantheonsite.io.